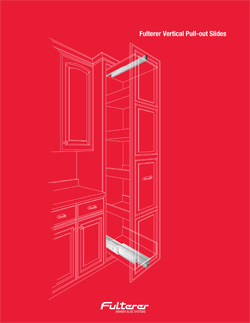 Our Vertical Pull-out Slides Brochure is available now for download in our Publications area. Every product in the catalog is on the web site along with a downloadable pdf file of the catalog product page. Contact us for a printed copy of the catalog.